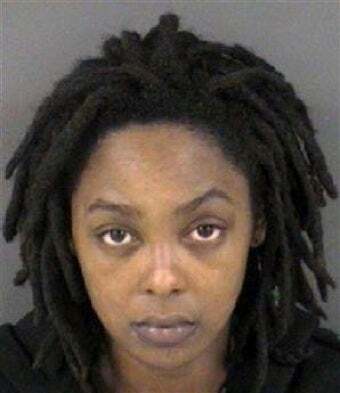 Less than a week after her 5-year-old daughter, Shaniya Davis, was reported missing, Antoinette Nicole Davis has been arrested and charged with "human trafficking, felony child abuse, prostitution, filing a false police report, and resisting, delaying, or obstructing police." According to Teresa Chance, a spokeswoman for the Fayetteville Police Department, arrest documents for Davis state that she "knowingly provide(d) Shaniya Davis with the intent that she be held in sexual servitude," a terrifying accusation, especially when you consider the fact that Shaniya's alleged kidnapper, Mario Andrette McNeill, who was seen on a hotel camera carrying Shaniya into a hotel room on Tuesday, the day she was reported missing, has since been arrested and has admitted to taking Shaniya, though she was not with him when he was caught and charged. Her whereabouts at this time are still unknown, though police are currently conducting a search, and, as Sgt. John Somerindyke tells WRAL, "Finding Shaniya is the top priority."